Ten years ago, New York State was experiencing one of the most widespread and devastating foreclosure crises in our history. Predatory lending practices flourished in the years leading up to 2008, with tens of thousands of homeowners refinancing mortgages at incredibly low rates that surreptitiously included huge levels of risk when market dynamics changed. The end result of this anti-regulatory lending environment was the 2008 financial crisis, which forced these homeowners into foreclosure and threatened the stability of communities throughout our state. Possibly the only positive outcome from the 2008 financial crisis was the creation of the HOPP program, which now accounts for two-thirds of New York’s foreclosure prevention efforts. Funded by legal settlements with the very financial institutions which threw our housing market into chaos, this program supported a network of 89 non-profit housing counseling and legal services programs that supported communities in every county of the state. Unfortunately, this community-saving program ends in March 2019. Unless New York State replaces this funding, approximately 18,000 households will be impacted next year. Homeowners in need will only be able to get advice or an educational seminar, if they get any help at all, instead of the assistance with legal proceedings that they actually need. Over half of New York’s foreclosure assistance providers will lose their entire staff or be reduced to one staff member. If we don’t take action, communities in every corner of New York State will suffer. People in Long Island, Central New York, Southern Tier, North Country, Hudson Valley, and New York City will lose their homes because they don’t have the necessary resources to prevent foreclosure. This is why we must include funding for New York Communities First in this year’s budget. 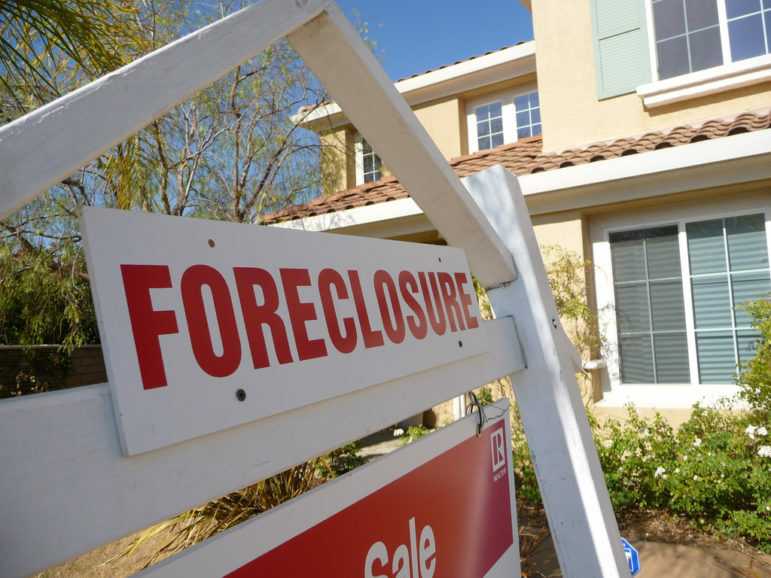 Foreclosure rates are rising again, and federal protections are threatened by a White House and Senate that cares more about lining the pockets of financial institutions than keeping people in their homes. Last year, there was a 35 percent increase in pre-foreclosure notices and 20,000 new foreclosure cases were filed across New York State. Seniors and other vulnerable populations are falling victim to foreclosure prevention scams, which fill the void when legitimate assistance programs are not prevalent. New York Communities First will rejuvenate neighborhoods and sustain affordable housing by combatting the blight of zombie properties, mitigating distressed mortgages, and collaborating with municipalities to address property tax debt. New York Communities First will preserve homeownership and prevent homelessness by providing legal defense and affordable loan remediation, representing seniors in settlement conferences, providing access to low-cost alternatives to refinancing for repairs, representing scam victims, and more. Our neighborhoods face serious challenges to their permanence: income instability, resident displacement, unscrupulous real-estate investors, and federal antagonism towards immigrant communities which discourages many from seeking assistance. These challenges predominantly impact people who are most vulnerable: low-income communities, communities of color, senior citizens, and immigrants. Our neighborhoods need our help. New York Communities First takes the next step beyond our existing support network, integrating consumer protection, neighborhood revitalization, and housing stabilization into a regionally driven model while ensuring homeowner services continue after current funding ends on March 31, 2019. This is the type of investment that will pay for itself tenfold by keeping our neighbors in their homes and by keeping our communities strong. Assemblymember Crystal Peoples-Stokes is the Assembly Majority Leader, Assemblyman Jeffrey Dinowitz chairs the Committee on Judiciary, Assemblyman Steven Cymbrowitz chairs the Committee on Housing, and Assemblyman Kenneth Zebrowski chairs the Committee on Banks.